A multi-million-pound investment continues at the UK operation of the world’s largest independent lubricant manufacturer. The technology-based investment will target all areas of the plant including manufacturing, R&D, technical processes and logistics. 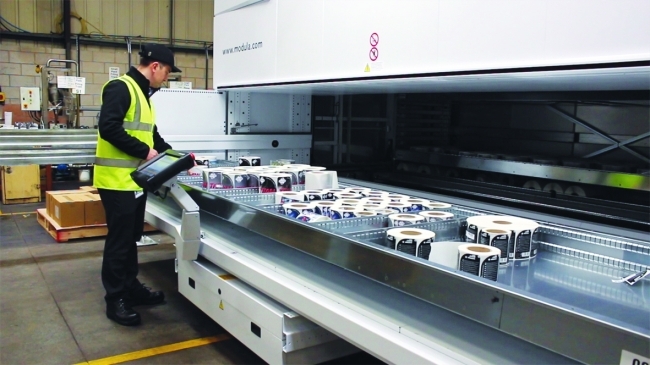 FUCHS Lubricants UK will house a new raw materials warehouse and benefit from a range of innovative manufacturing plant machinery as part of a cash injection of more than £10 million. 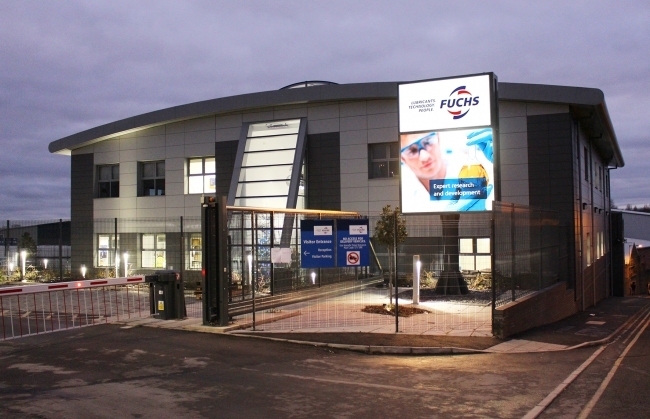 The investment comes less than a year after new state-of-the-art offices were built at the FUCHS UK headquarters in Stoke-on-Trent and coincides with ongoing enhancements to the R&D Technical Centre which further strengthens the company’s market position in the UK. Richard Halhead, managing director of FUCHS Lubricants UK, said: “This is a hugely significant project which will have fantastic benefits for the business. “It will elevate FUCHS Lubricants to a unique position as the only lubricant manufacturer in the UK with this type of facility, firmly placing us at the forefront in the R&D, manufacture and distribution of lubricants in the UK and maintains our pledge to continually build for the future. The construction of a new warehouse, holding 4,000 pallet locations, will allow FUCHS to significantly increase its capacity for raw materials, while allowing an existing building to become a specialist packaging warehouse. 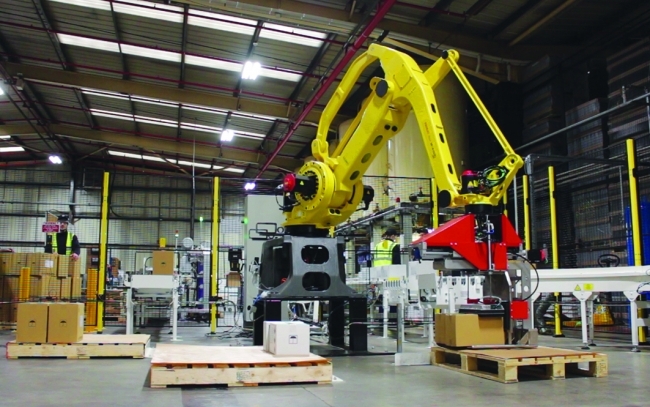 Enhancements to the production process include the introduction of a FANUC M410/185iC 4 axis robot arm, which has the capacity to simultaneously palletise boxes from three independent filling lines, packing into 15 different box configurations. Further improvements in efficiency will be seen through the introduction of a FEIGE automatic filling machine. Capable of filling 60L, 205L and IBC containers, the machine’s A.I determines the pack size to be filled and the automatic spout then fills to a required volume. Building on the success and demand for the 20 litre Lube Cube, FUCHS’ innovative recyclable packaging solution, the original Lube Cube machine introduced several years ago, sees the planned introduction of a second automatic Lube Cube filling machine to support the increasing demand for the eco-friendly alternative to plastic. The 20 litre Lube Cube success has been strengthened by the introduction of 4 litre Lube Cube and the latest 5 litre which will be launched mid-year. Logistical capability has also been enhanced with the investment in five new truck cabs and numerous technical support vehicles.